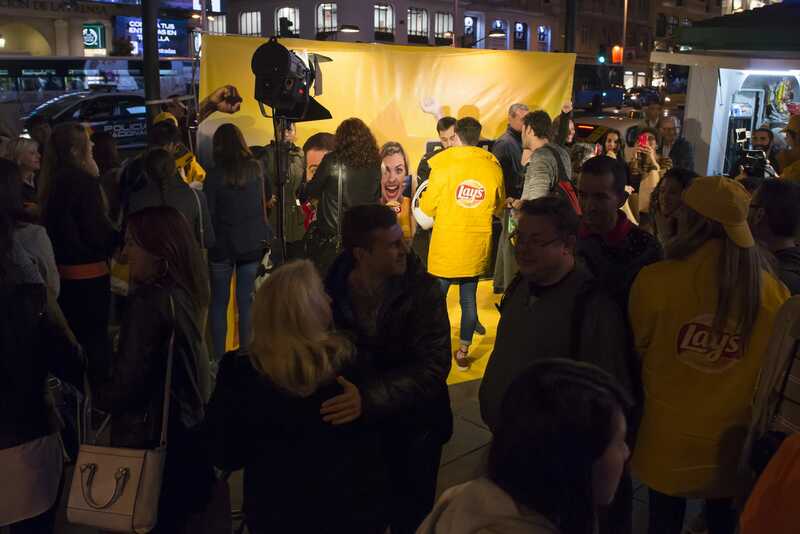 Working with Devries SLAM, Curb Media DOOH.com built a bespoke mosaic animation using selfies with promotional Lays packets submitted to their ‘Cheer for your favourite’ UEFA Champions League campaign. The campaign was then taken to Madrid and Eindhoven where fans could have their photo taken with promotional packs and added into the mosaic live! 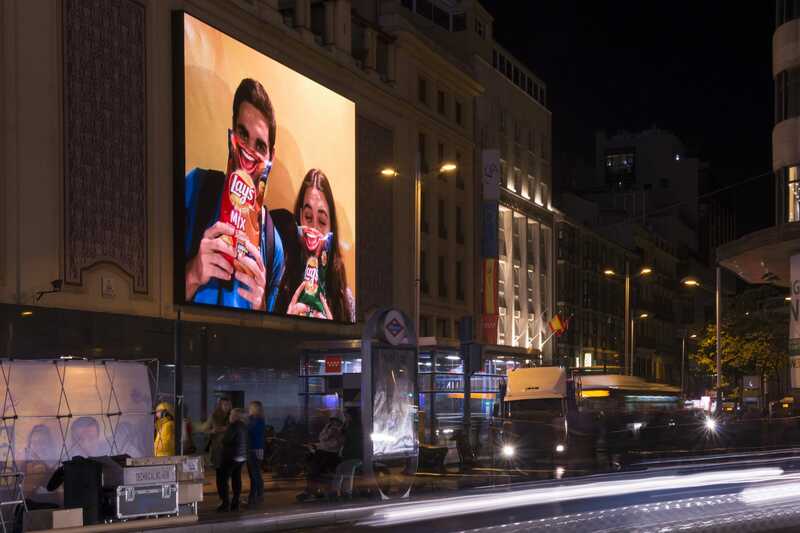 In Eindhoven the animation was projected onto the iconic Blob and in Madrid on the Famous screen in Callao Square. Using our Hero system the photos of the fan hero moment were then instantly tweeted back so they could share their moment.